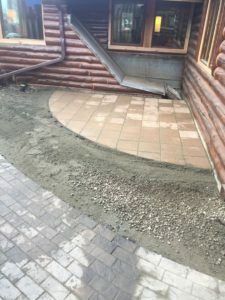 To successfully build a beautiful patio begins with the combination of an exceptional, well thought out plan and a team of skilled installers to bring the design to completion. Your personal taste are important and we can help you chose between various pavers, flagstone or brick. In addition to the basic building blocks we can also design and build all types of options for your patio including lighting, steps, seating walls, or fire pits. A well designed and constructed brick patio will give you many years of maintenance free beauty. 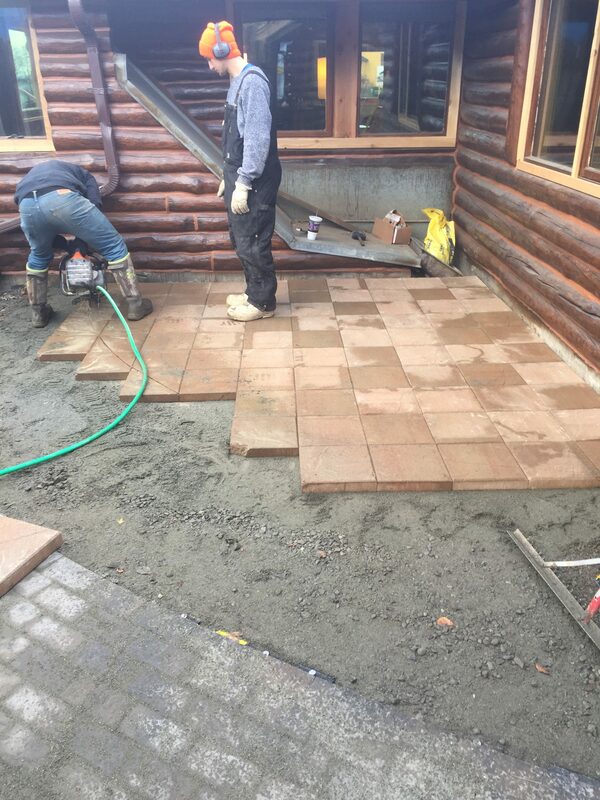 Depending on the look of your home and what you are trying to achieve with your patio renovation, Brick is the answer for many of our clients. Brick patios are fairly inexpensive to create even for the large surfaces and depending on the treatment you go with, they can last just as long as the hardest stone or concrete patio. 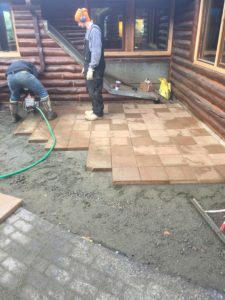 Concrete pavers set on a sand base is an option, more people opt for the classic look of brick and mortar set on a concrete base. The concrete base gives you a rigid, durable patio that is as easy on the the feet as it is on the eyes. 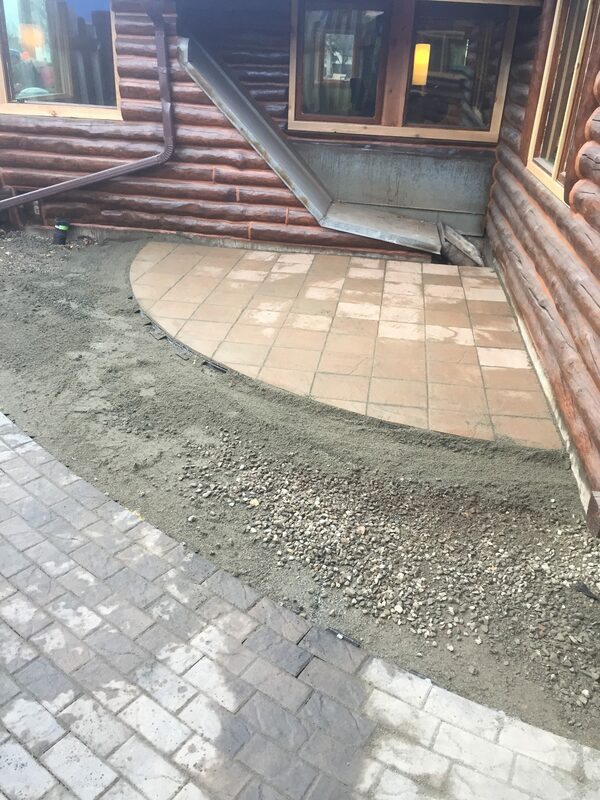 They can be set over an existing concrete patio using a thin bed of sand or on a newly constructed base made from crusher run. A huge advantage of pavers is their flexibility. Because no mortar is used, there are thousands of expansion joints throughout your project which means there is no chance of cracking during winter or summer’s extreme temperatures. Future changes can be made with no visible signs of disruptions. If you need help deciding what type of brick patio you need please allow GEM, to come to your home and we can give you ideas based on your actual space. We are just a phone call away at, 907-223-4666.